We are a privately held limited liability company located in Luxembourg where we deliver competency-based monitoring, advisory and training solutions to the asset management and life insurance sectors. We are a member of the KNEIP group. Our “Skill Tech” solutions help you to navigate continuously evolving regulatory landscapes. We offer C’level advisory expertise on fund distribution, legally required investor disclosures such as fund prospectuses, annual and semi-annual financial reports, Key Investor Information Documents (KIID), PRIIPs Key Information Document (KID), as well as prudential and statistical reporting to regulators and central banks or marketing material such as factsheets. We have long-established connections with all European fund regulators and beyond in Asia, Africa and America. 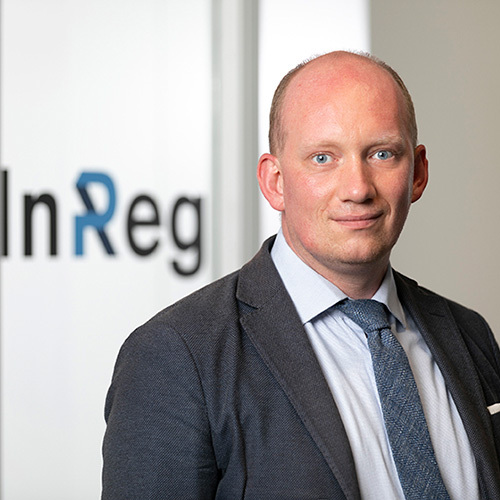 Julien joined the InReg team in April 2018 as SRO where he delivers expert guidance mainly on PRIIPs and MIFID2 matters for asset managers and insurance companies. Julien started his career in 2008 and has over 10 years senior-level consultancy experience for several well-known consulting companies. He was active in the asset management and life insurance sectors where he specialised on various regulatory topics such as UCITS, KIID, FATCA, fund distribution, PRIIPs or MiFID II. Julien is known as a subject matter expert on PRIIPs. He is a regular contributor to several industry-level working groups for PRIIPs, including the PRIIPs European Working Group and insurance associations in relation to data exchange standards. He holds a Masters in Business Engineering and speaks fluent French and English. Jean Louis is Partner and co-founder of InReg. He has dedicated over 30 years to the funds industry in Luxembourg and has specialist expertise in fund structuring + registration, regulatory and investor reporting. 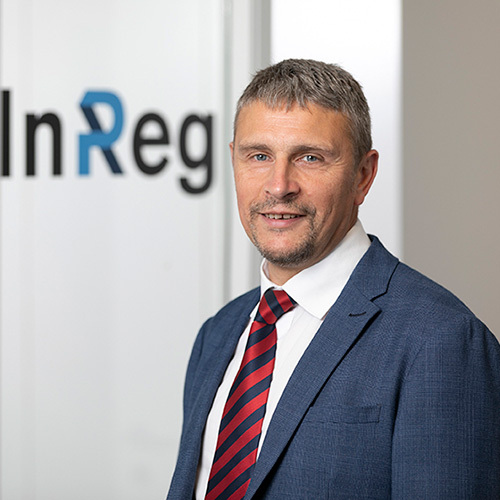 Recognising the increasing demand for a competency-led Skilltech offering to the funds and insurance sectors Jean Louis co-founded InReg in December 2016. He has led company operations since January 2018. He started his career with BIL in 1988 and followed this with a number of senior positions including Deputy Head of Fund Administration with one of the largest Italian banking groups and Head of Fund Admin of an Italian bank. Prior to launching InReg he was product and strategy manager with KNEIP. Jean Louis holds a Bachelors degree in accounting. He speaks fluent French, English and Italian.